What Does PTA Mean To You? Next Monday we are scheduled to hold elections for the 2019-2020 PTA Board. As of now we do not have enough parents willing to take on leadership rolls to operate a PTA next year. Without a PTA board we will not be able to approve the budget and spend money, essentially defunding all of our school defining PTA programs like Performing Arts, The Garden Program, MASC, After School Enrichment, any community building events like The Back to School BBQ, Harvest Festival, and crippling our fundraising efforts from Jog-A-Thon and The Wish Benefit. The current board is made up of many long-time PTA volunteers who have worn many hats over the years. 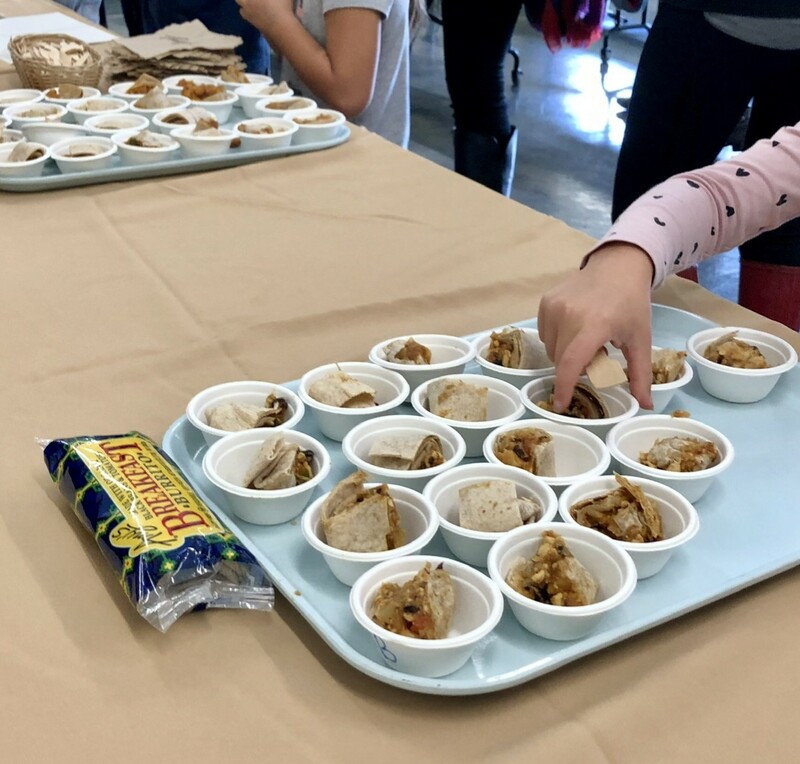 We have children who are moving into and out of the upper grades or have older children who have already moved on to junior high (myself included), and for various reasons many of us simply cannot continue on in a leadership capacity. The majority of our current board is made up of working parents, juggling several outside commitments in addition to PTA. Board Membership is not as time-consuming as you may think. 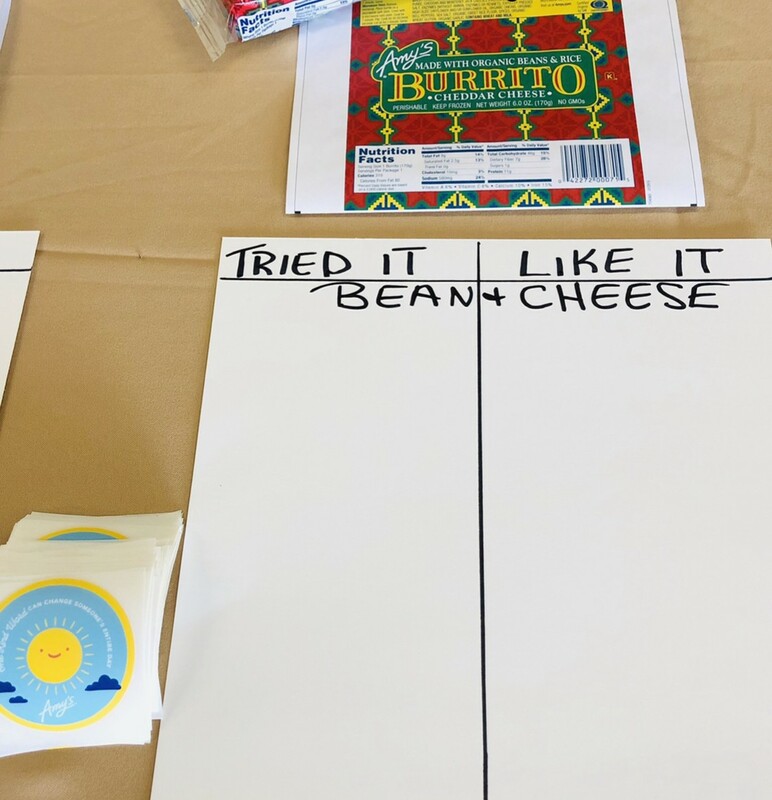 It will only take a few parents with children from the lower grade levels willing to step up and put in a few hours a month to keep our PTA Board and our PTA programming functioning. CAN YOU BE THAT PARENT? PTA Board - VP of Membership: Oversee administration of membership, lead membership sign-up efforts, manage assembly of school directory. Expected annual time commitment: 25 hours, mainly at the start of the year. If you are interested in any of these positions please reach out to us at mcnearpta@gmail.com and come to Monday's PTA Meeting at 7pm. Big Bad Musical- Next Week! 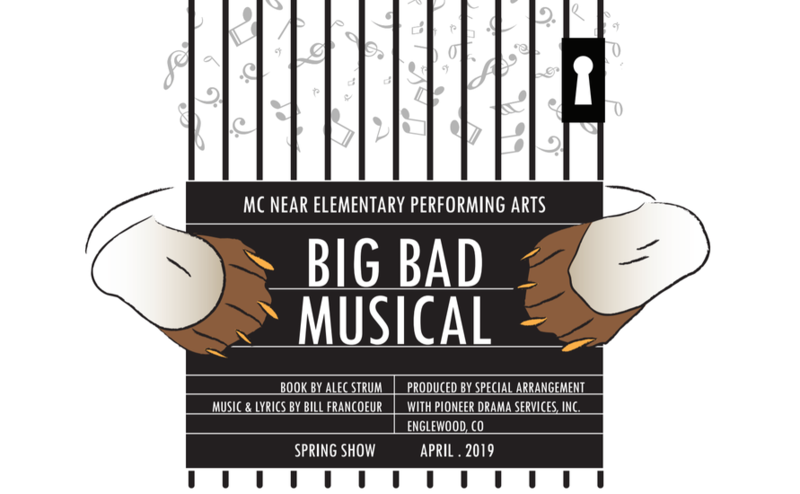 Our Spring Performing Arts production of 'Big Bad Musical' will kick into action next week with public performances on Friday, April 5 at 7:00pm and on Saturday, April 6 at 1:00pm. The doors of the multi will open thirty minutes prior to show time and admission is free to all. We hope to see you there to support all the hard work the lower grades have put in for this great school community event! Nuestra producción de 'Big Bad Musical' de Spring Performing Arts entrará en acción la próxima semana con una presentación pública el viernes 5 de abril a las 7:00 pm y el sábado 6 de abril a la 1:00 pm. Las puertas del multi se abrirán treinta minutos antes de la hora del show y la entrada es gratuita para todos. ¡Esperamos verlos allí para apoyar todo el trabajo arduo que las calificaciones más bajas han realizado en este gran evento de la comunidad escolar! The annual Wish Benefit is coming up on Saturday, May 4th...look for invitations and info on ticket sales coming home in Wednesday packets next week! Donaciones ... Necesitamos tu ayuda! 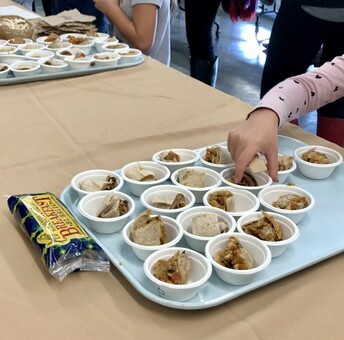 Did your child come home talking about taste testing some new foods on Wednesday? 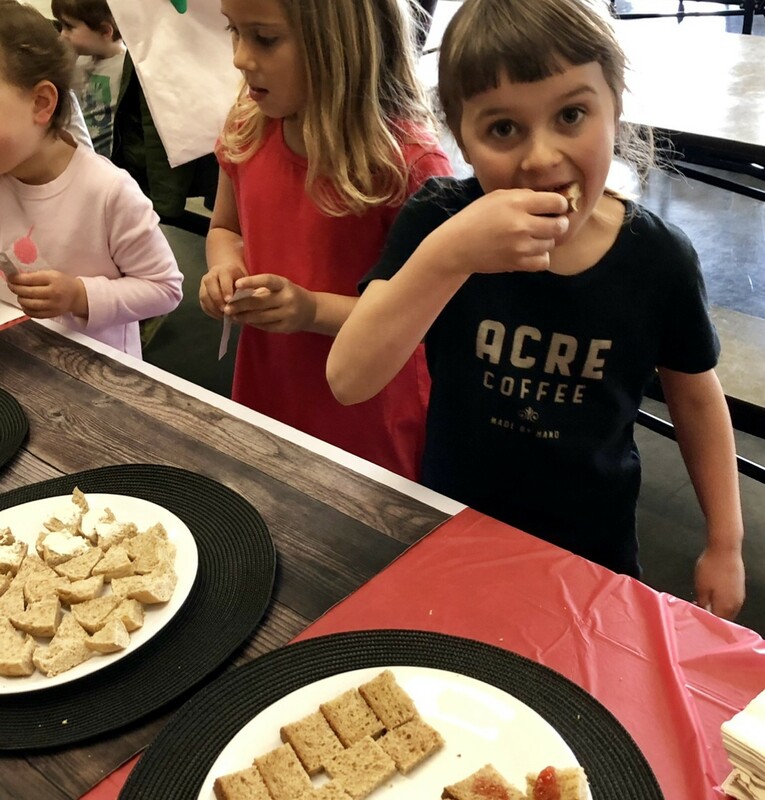 The kids seemed really excited to try options from local favorites Amy's Kitchen and Alvarado Street Bakery and gave us great feedback on potential new menu items. 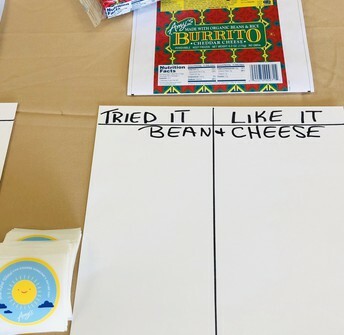 The School Lunch Committee has been working with the district on some short term and long term goals for improvement of school lunches and this was the very first step of implementing some short term goals of integrating local businesses to provide nutritious and exciting breakfast and lunch options at our site. ¿Vino su hijo a casa hablando sobre probar el sabor de algunas comidas nuevas el miércoles? 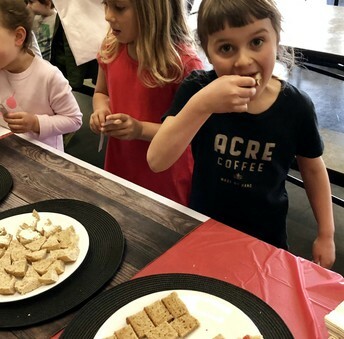 Los niños parecían realmente emocionados de probar las opciones de los favoritos locales Amy's Kitchen y Alvarado Street Bakery y nos dieron excelentes comentarios sobre posibles nuevos elementos del menú. El Comité de Almuerzos Escolares ha estado trabajando con el distrito en algunos objetivos a corto y largo plazo para mejorar los almuerzos escolares y este fue el primer paso para implementar algunos objetivos a corto plazo de integrar negocios locales para brindar opciones nutritivas y emocionantes de desayuno y almuerzo en nuestro sitio. First off, I'd like to acknowledge the hard work and outstanding programming our ASE Coordinator, Jeanne Schroeder has organized and managed over the last two school years. This will be her final session as coordinator. Jeanne, you have done a fantastic job! Okay! Registration begins next Wednesday when After school Enrichment packets will go home in the Wednesday folders with classes beginning the week of 4/15. Here is a preview the courses that will be offered this session. Please reach out to Jeanne with any questions. En primer lugar, me gustaría reconocer el trabajo arduo y la excelente programación que nuestra Coordinadora de ASE, Jeanne Schroeder, ha organizado y administrado en los últimos dos años escolares. Esta será su última sesión como coordinadora. Jeanne, has hecho un trabajo fantástico! ¡Bueno! La inscripción comienza el próximo miércoles cuando los paquetes de enriquecimiento después de la escuela irán a casa en las carpetas de los miércoles con clases a partir de la semana del 4/15. Aquí hay una vista previa de los cursos que se ofrecerán en esta sesión. Por favor comuníquese con Jeanne si tiene alguna pregunta. 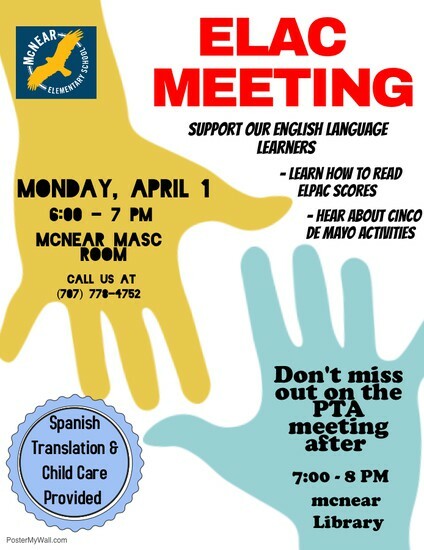 This month ELAC will be meeting from 6-7 in the MASC room prior to the PTA meeting. Translation will be available at both meetings! Este mes, ELAC se reunirá del 6 al 7 en la sala MASC antes de la reunión de la PTA. ¡La traducción estará disponible en ambas reuniones!